Written by Nunzio Defilippis and Christina Weir. Art by Fernando Heinz Furukawa. 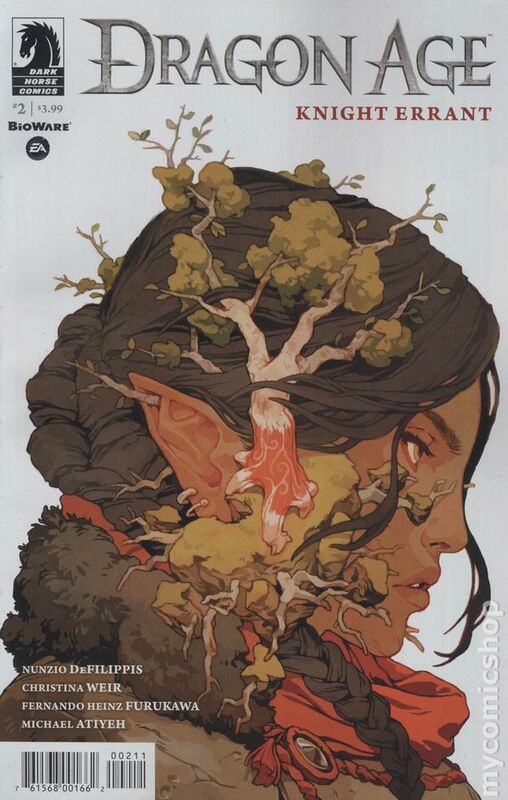 Cover by Sachin Teng. BioWare's best-selling fantasy franchise lives on in these canonical comics from Dark Horse! Charter lays her offer on the table for elven thief Vaea: rescue our captured associates, and we'll take care of the angry templar after you. Leery of the Inquisition and what it may stand for, Vaea rejects the offer . . . but quickly regrets it once Ser Nevin shows up, furious and looking for a fight! 28 pages, full color. Cover price $3.99.